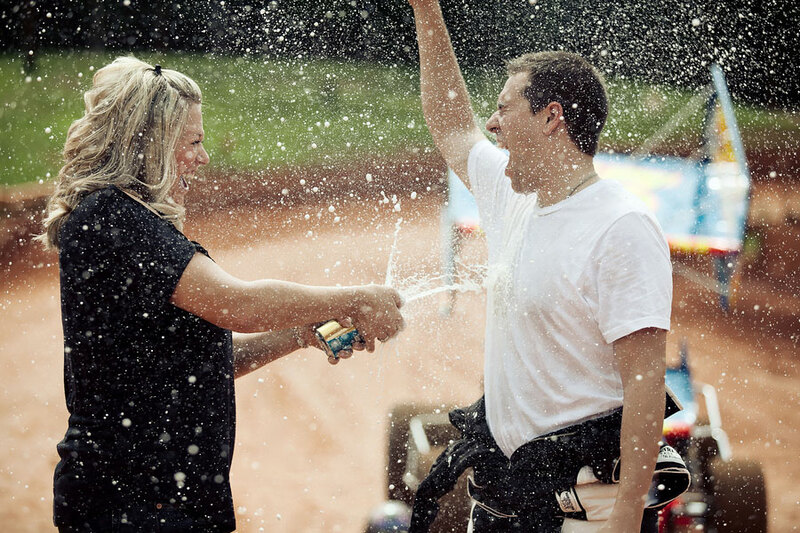 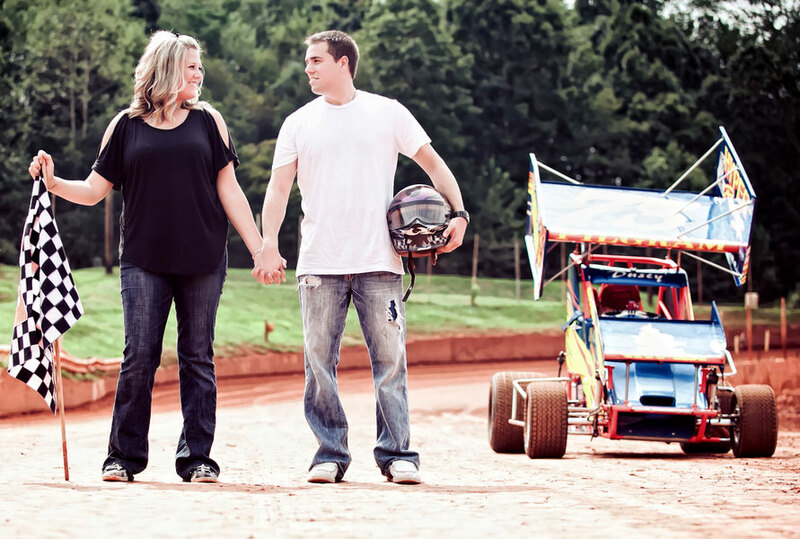 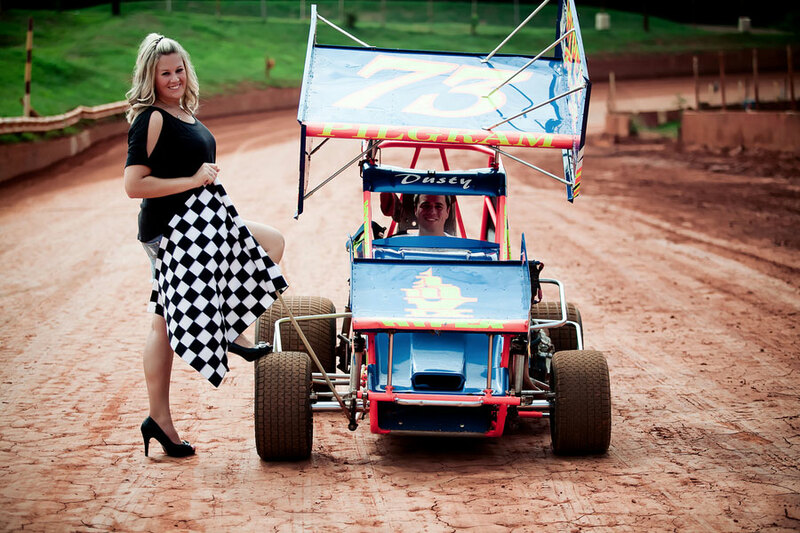 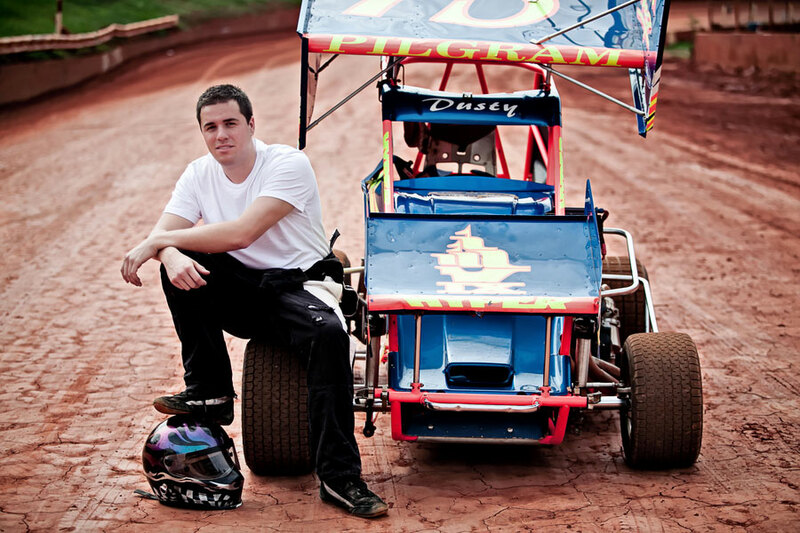 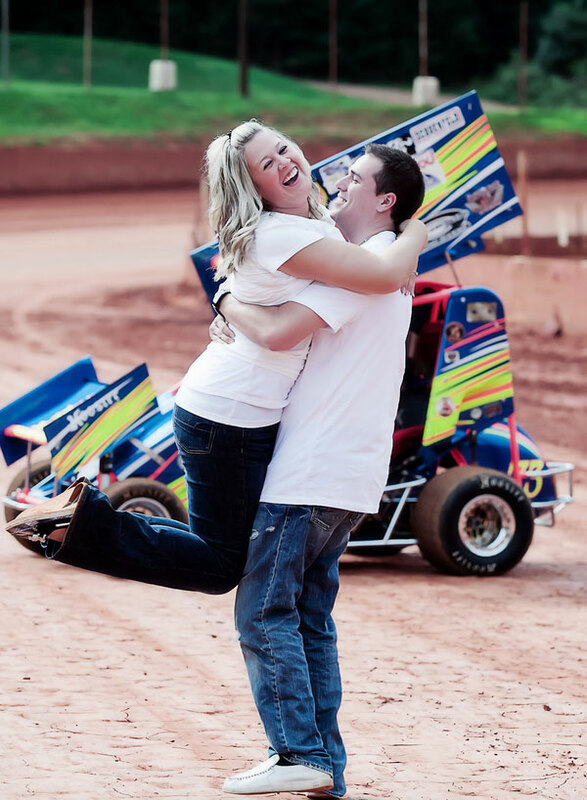 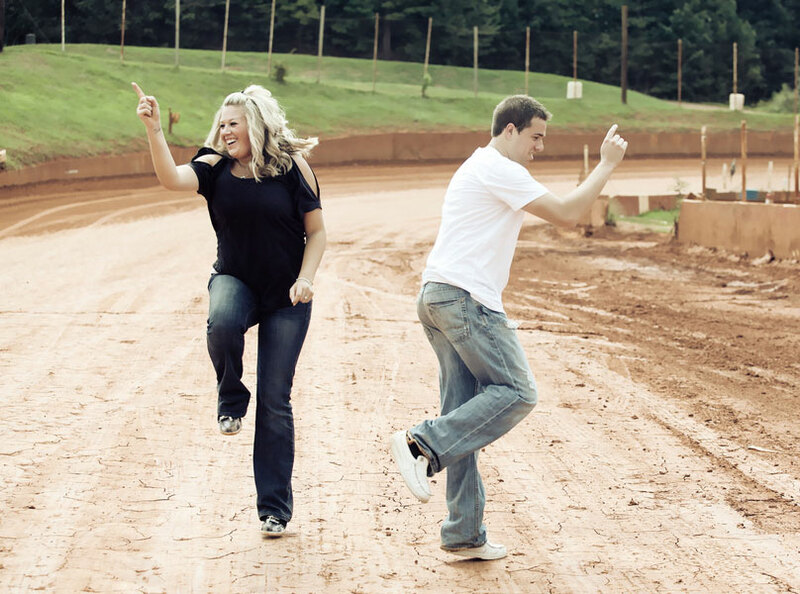 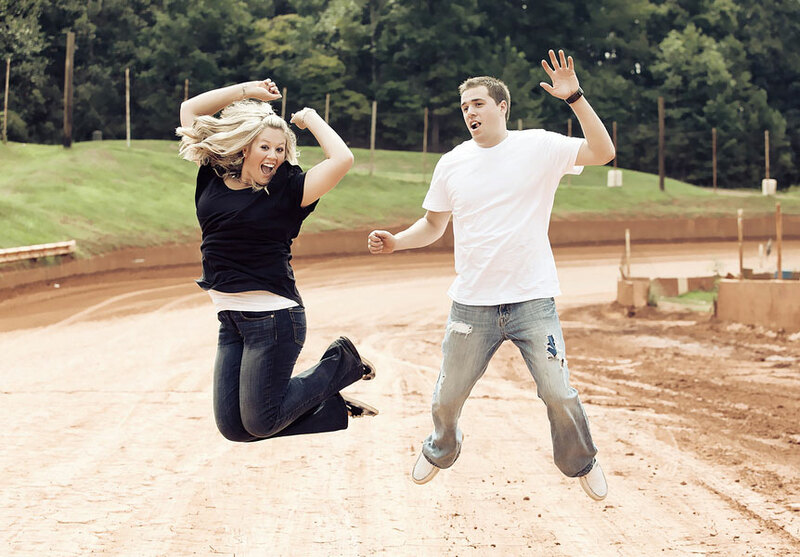 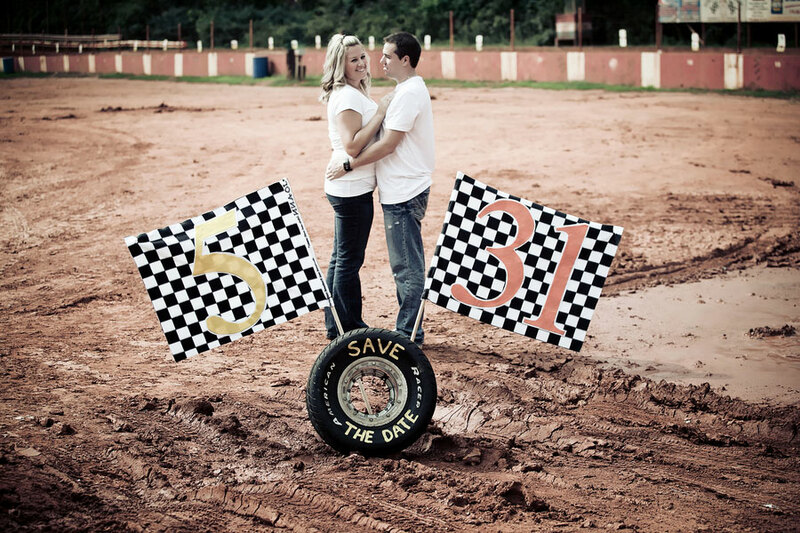 Since our fun loving couple met on the race track, it was a no brainer to take right to the dirt, using Winder Barrow Speedway as the setting for Alexcee Chase & Dale Holmer’s race car engagement session! 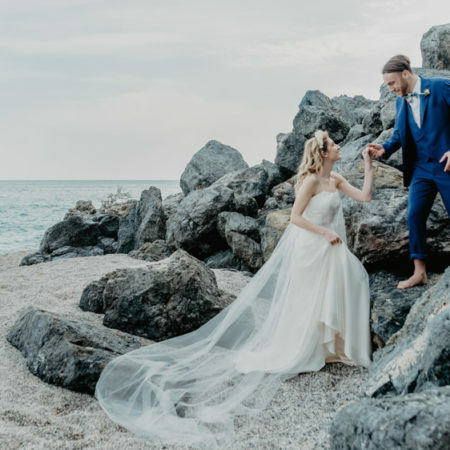 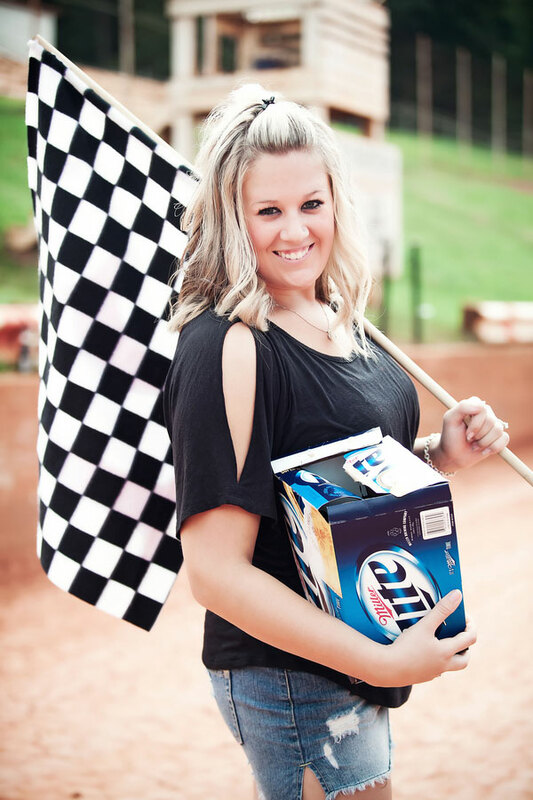 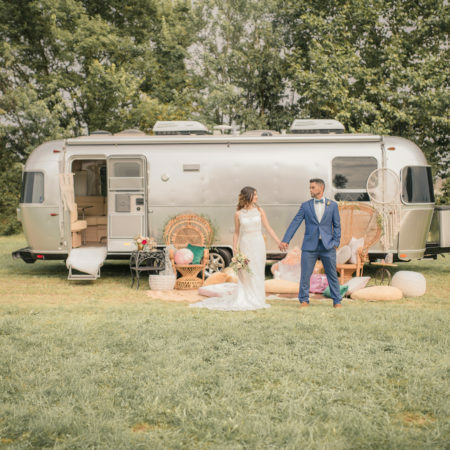 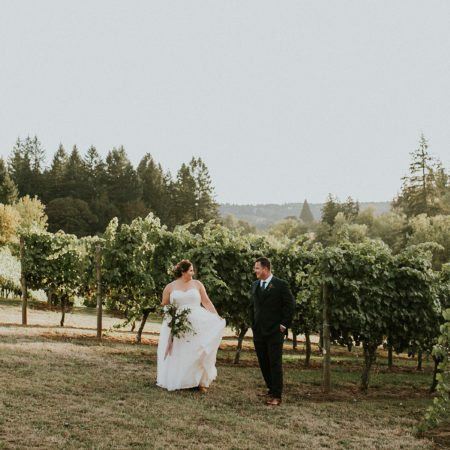 Having a fun and playful spirit, our adorable couple not only opted to feature one of the gnarly machines, they kept it real, enjoying themselves with checkered flags, a used tire with a painted Save The Date, and of course, Beer! 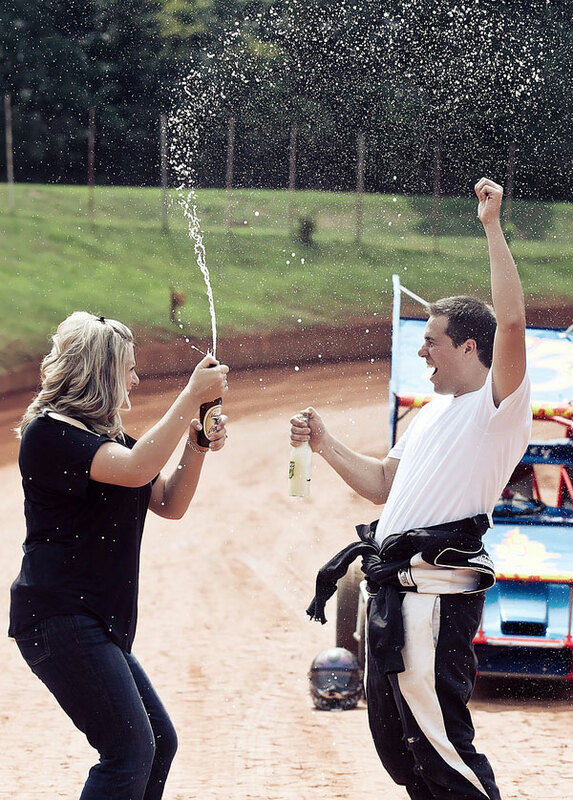 Not ones to let a good time get away from them, if they weren’t busy dancing on the track itself, a celebratory beer shower was most definitely in order! 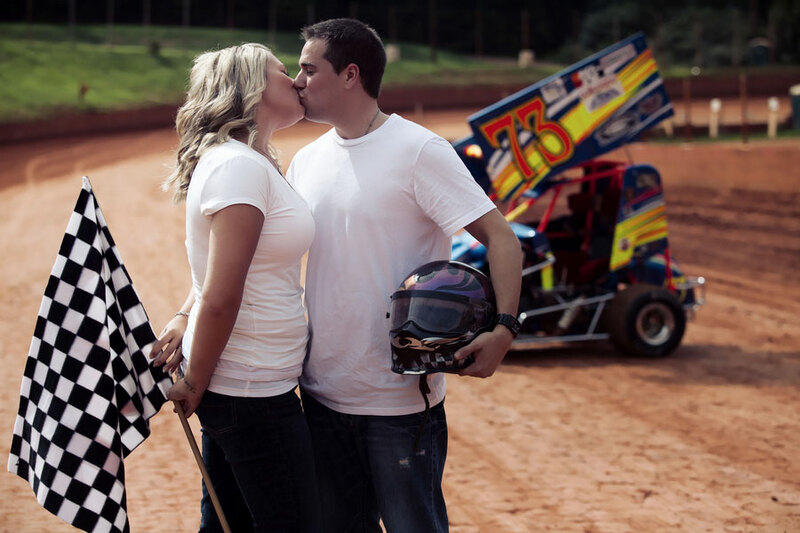 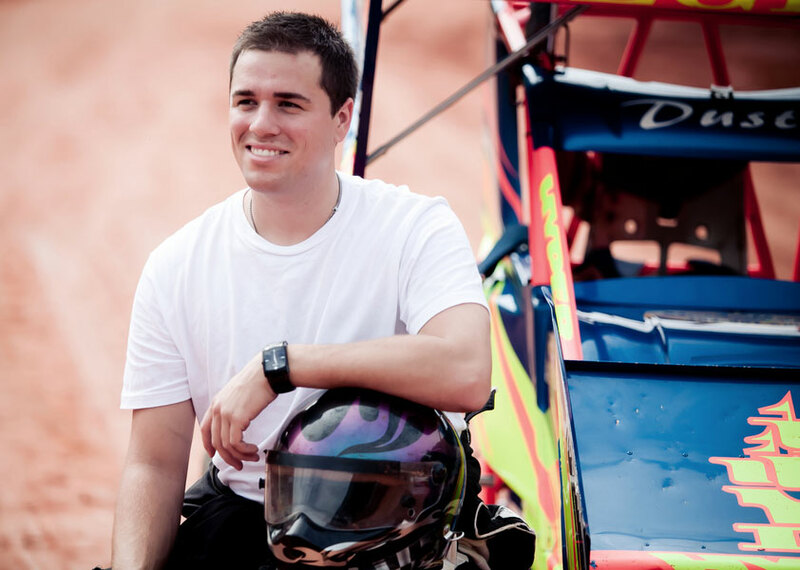 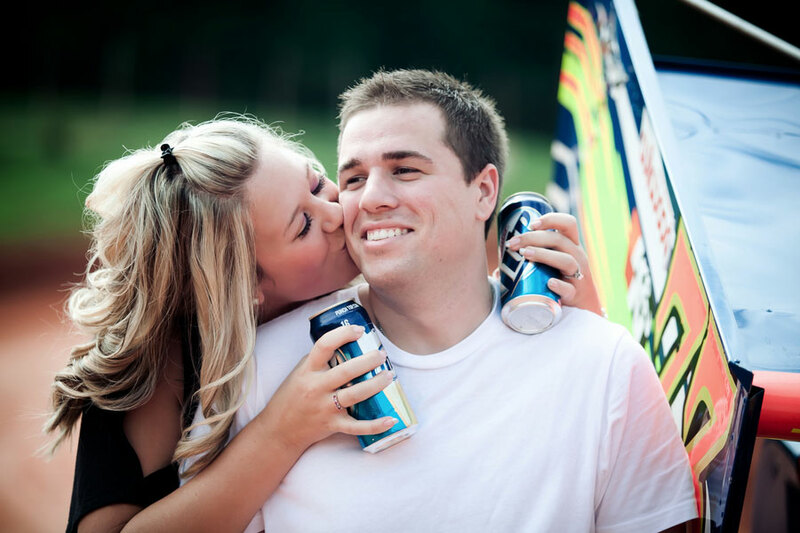 We love this couple’s great spirit & truly appreciate how much it shows in their race car themed engagement session!